Fall is here, and that means cooler temperatures, changing leaves, holidays, as well as triggers for allergy sufferers. Fall allergies typically start in late August or early September, and they usually hang around until the first frost of the season. While many people may think the spring is the time for allergies, the fall season can be just as bad for those who suffer from allergies. Do you suffer from seasonal allergies? You are not alone. Luckily, some changes can be implemented that can make a huge difference. Don’t believe us? 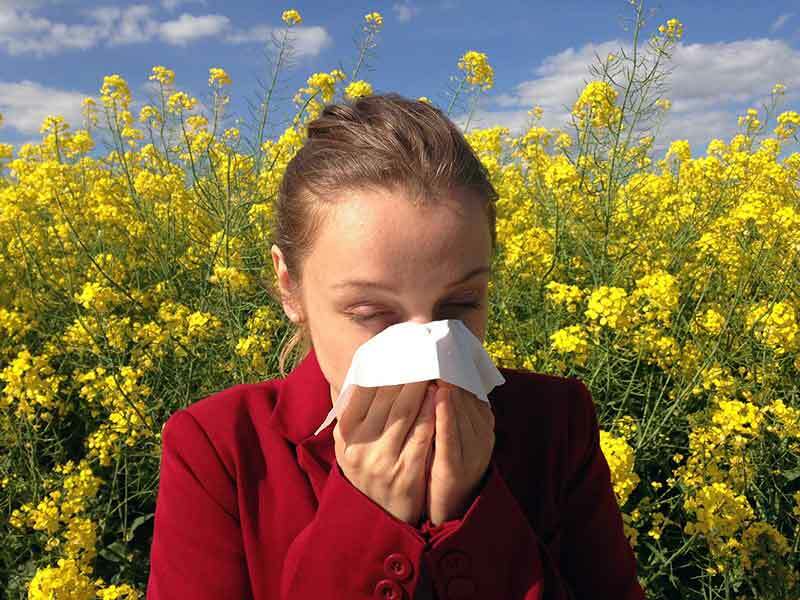 Check out these tips for seasonal allergies. 1. After a long day, the first thing you should do after you arrive home is to change your clothes. You never know what allergens may be attached to your clothes, so it’s best to change into a clean pair. Otherwise, you can spread the allergens you’ve picked up around your house. 2. With that in mind, before you go to bed at night, you should take a shower. Make sure you pay particular attention to your hair and make sure you clean yourself thoroughly. You never know what allergens could be attached to you, so make sure you clean yourself before you hit the hay. 3. While this may seem like a no-brainer, it is important that you wash your hands frequently. Washing your hands can stop the spread of allergens, will help kill germs, and can contribute to reducing the spread of viruses. Remember, fall is also flu season, so take a stand against viruses and stay clean. 4. If your child has allergies, make sure you send them to school with their medication. This way they can get relief from the new allergens they are exposed to. Before you send your child to school with medication, make sure you inform the school. The school may have a policy where the school’s nurse will hold onto and administer your child’s medication. 5. Wash your bedding frequently. Dust, dander, and other allergens can accumulate on your bed sheets and pillowcases, so one of the best tips for seasonal allergies is to give them a good washing at least once a week. While you are at it, make sure you keep a tidy home. By washing your sheets and throw blankets, as well as regularly cleaning your home, you can ward off any accumulating allergens. 6. If your allergies are severe, you may want to give dust mite covers a try. While washing your bedding helps, it only offers a temporary solution. Allergens can and will come back, so use dust mite covers on both your pillow and mattress. This will help prevent allergens from sticking to the surface of the bed. 7. Make sure you address any leaks in your home. Leaks can and will increase the moisture content in the air. Unfortunately, when the humidity rises, this can lead to the production of mold. Many people are allergic to mold spores, so make sure you address the leaks in your home.